Not gonna lie: Vietnam is a tricky country to explore. Tour scams are common, pollution can be disappointing and the fact is an extremely poor country makes many look at you with dollar signs on their eyes. If there’s a place where you’ll need to travel smart, this is it. Comparing directly, An itinerary for the neighbour Thailand is a breeze, with better tourism infrastructure, beaches and ways of getting around. Still I had a blast touring Vietnam and fell in love with the hearty people, the vibrant culture and the amazing diversity of landscapes. It’s a shame most people end up let bad experiences completely ruin life on the road. When done right, exploring Vietnam is one of the most rewarding travel experiences you can have in the planet. Yes, even more than Thailand. That’s why I’ve compiled this list of everything I wish I had known before visiting Vietnam. It has everything for a safe, scam-free trip to make the most out of this fascinating place! Some places in Vietnam have a rare mystique. 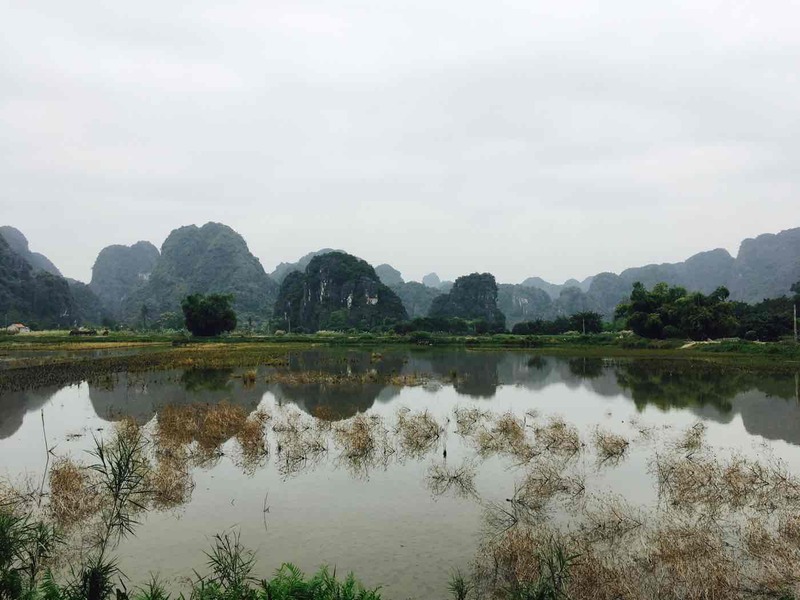 This is Ninh Binh. 1. Sort out your VISA. 2. Don’t underestimate the size of the country. 3. Be smart about your itinerary. 4. Weather varies a lot. 5. Get ready to haggle. 8. Hanoi is quainter than you thought. 11. It’s a paradise for foodies. 12. Use tours as plan B. 13. Or at least do your homework. 14. Ho Chi Minh City is the place to be and be seen. 15. The traffic is really hectic. 17. Be careful with your card. 20. While Ninh Binh is underrated. 22. Learn how to get around efficiently. 23. Take care of your belongings. 24. It’s worth to splurge on a Halong Bay cruise. 25. Some basic words of Vietnamese can go a long way. 26. Go for the street food!